You’ve all heard the horror stories. You can’t tell me that you haven’t heard horror stories of high maintenance bridal parties. When you think about it, they are probably just as common as the bridezilla stories. To be honest, they almost make me cringe just thinking about them. Your bridesmaids might not even be high maintenance or hard to deal with. (Good for you, girl!) But, you have to admit it’s hard to get upwards of 12 women together without one of them giving an opinion. (Especially when it comes to how they look and if they may be pitching in money for it!) Unfortunately brides before you have not been so lucky, and their best gals soon forget who the day is actually about. I’m a believer of a lot of things in life. One of those things is that they should serve wine to brides at dress shops as their bridal party piles into dressing rooms to try on literally every single dress on the rack. I’m telling you, I’ve been there as a bride and a bridesmaid. (As a bridesmaid I even thought I needed a drink!) Like I mentioned in one of my older blog posts, going bridesmaids dress shopping is one of those times where wine will get you through wedding planning. 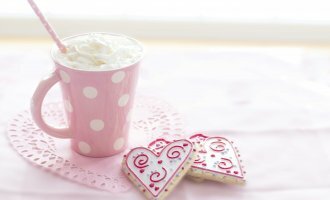 Lucky for you, I’ve got some tips for you to make it a little more bearable, easier on you, and a lot more exciting! Wine is still optional but preferred. So grab your day drinking glass, pour some Merlot, and let’s get real. I get it, no one likes homework. It’s the reason students are most excited to graduate college and get into the real world. But, if you want to get through shopping for bridesmaids dresses without crawling into the corner, spooning wine out of your Halo Top ice cream, and regretting the friends you have, there’s some things that need to be done. 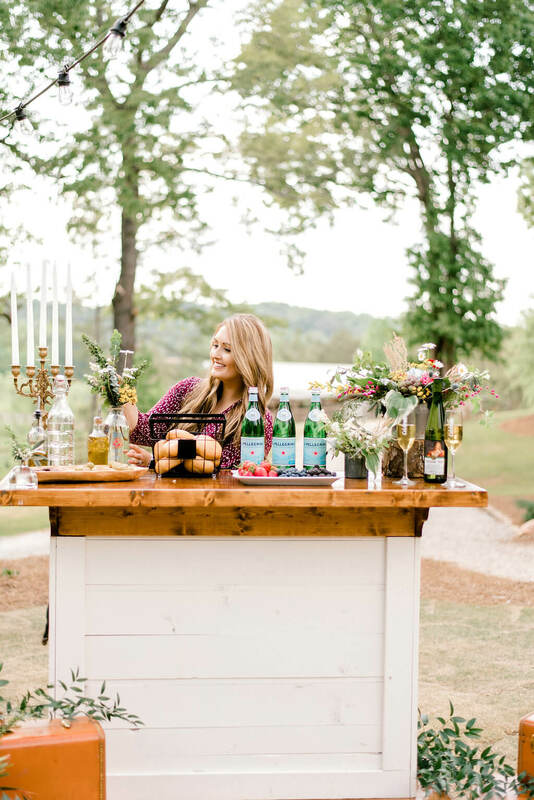 Just like homework prepared you for your classes, there’s homework with wedding planning that will help you stay organized, efficient, and sober. I can’t stress the importance of making an appointment. 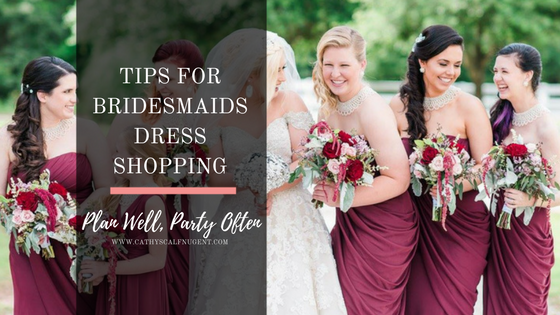 Especially if you are dead set on bringing your entire crew, you need to contact the dress stores ahead of time and make an appointment. In actuality, some dress stores only operate on a by-appointment basis. 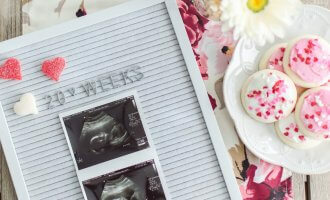 Let them know how many of you are coming so that they can better prepare for your time there by reserving dressing rooms, having staff available to your group, and possibly even pulling things off the rack for you ahead of time. This is one of those times when you can whip up that secret wedding Pinterest board of yours and scroll through the pins. What do you love about dresses that you see in bridal party photos? What do you hate? Are you going to have them all matching? Do some colors look more appealing to you than others? Do you want them in a darker color to make you pop in your white gown? 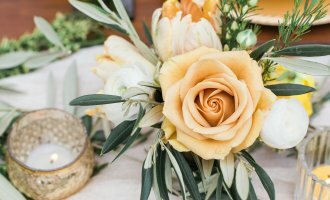 How does it fit into your wedding’s color palette? Before you go to your appointment, it’s also important to look at their website to see what the store has to offer. Often times, appointments are booked for only an hour. That may not be a lot of time if you bring all 12 bridesmaids and unleash them in a store. Soon you’ll be comparing 12 different dress styles, colors, and opinions. Getting an idea in your head ahead of time of what you want to see your girls try on can maximize your time in the store and control the chaos. From there you’ll be able to branch out and compare to other styles you decide to try on in the store. Like I mentioned, I’ve been there as a bride and a bridesmaid. But when it comes to bridesmaids arguing over the style or color of the dress to be worn because Susie doesn’t think she looks good in strapless and Tiffany hates periwinkle, to be honest, I don’t think the bridal party should be making the decision anyways. Call me what you want, but I am a firm believer that it is the bride’s day. Hence, it’s about what she wants. (And the reader said AMEN!) When it’s their turn to have arguing bridesmaids they regret already by that shopping trip, they’ll wish they would have just made the decision rather than releasing the hounds and watching a blood bath. I can guarantee that Susie isn’t going to care if you don’t like strapless gowns when it comes time for her wedding. That’s just not how it works. My advice is to know what styles and colors you love, and make some boundaries ahead of time. If you’re worried about making the boundaries, have your maid of honor relay them to the rest of the girls. While it may not always be necessary, it’s sometimes best to put those expectations out there ahead of time. Tell them you understand, accept, and respect their opinions, but it is about what you have visioned for your wedding. As long as you’re not one of those brides who chooses an obnoxious pattern, bow, or puffy sleeve, they should understand. Don’t be afraid to hurt feelings, they’ll have their turn. Spoiler Alert: They’ll get over it. You don’t have to take your whole bridal party. You could be a bride in college with your bridesmaids at different universities across the country. You’re may be all professionals or out of school living life wherever the job market or marriage took you. 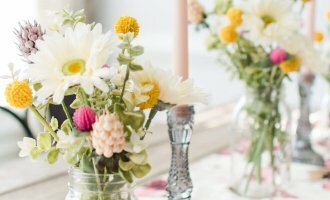 But, chances are, your bridal party is not all located in the same place. If this is the case for you like so many other brides, you don’t have to stress about getting your entire bridal party together to try on dresses. For my own wedding, this was the case with my bridesmaids spread across the country. With everyone’s lives, it was impossible to get all of us together in the same room at one time other than my wedding day. As disappointing as it was when it came to showers and tasks like dress shopping, I understood. Instead, I went bridesmaids dress shopping with my mom, my maid of honor, and two of my bridesmaids who happened to be in town at the same time. It worked out perfectly, and it was definitely a lot less overwhelming. If your dress store is somewhat a national chain, you can put your dress pick in the system whenever you decide and have your girls get measured and order their dress at their own convenience at a store near them. Don’t let them loose. Have a system. As someone who is a little type A, I had a system when it came to bridesmaids dress shopping with my girls. I don’t think it was over the top, but it was one that allowed me to visualize and stay organized. My bridal party consisted of a range of body types, and I wanted to choose a dress that flattered them all. However, that’s really hard to visualize when everyone is trying on different styles at different times. I ending up having my girls try on the same style dress in their size at the same time. They would then come out and stand together in the mirror. Not only did it allow me to see a variety of color options against skin tones at the same time. But, it also allowed me to see how that particular dress style looked across different body types. Surprisingly enough, it helped me narrow down a lot of options! Whenever I go shopping for clothes, my momma taught me a trick for finding out how much you love an item. You take a picture of yourself in the dressing room! It’s no secret that something you wear may look flattering in the mirror but not when you’re photographed in it. Not to mention, doesn’t the camera tend to add 10 pounds? Hence why, to this day, I always take a picture of myself when I try something on in the dressing room. 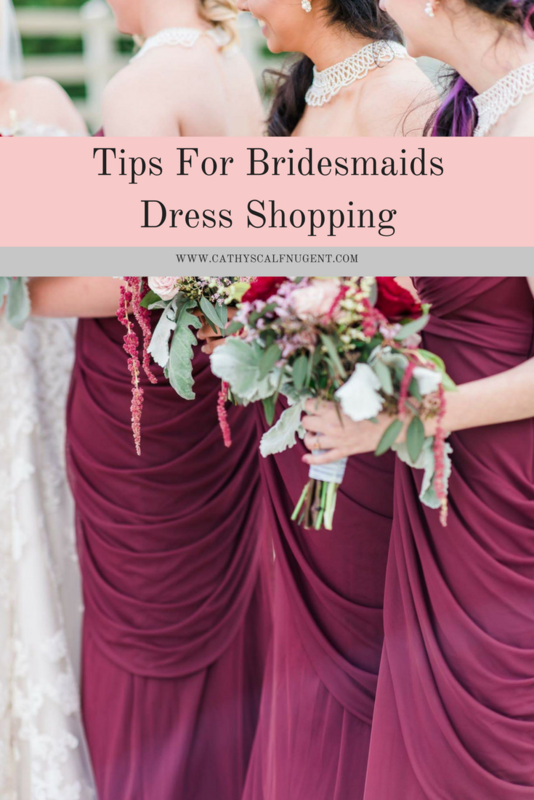 I transfer this advice to bridesmaids dress shopping for two reasons. One, for what I mentioned above. Everything looks different in photos. Not to mention, some shades of color don’t translate well into photos. They look dull, make your skin hue look weird, or completely lose their appeal. I had my bridesmaids try on several colors that didn’t translate well into a photograph. Taking photos will help you have a peek of what the dresses will photograph like on your big day. Secondly, it actually allows you to remember what the dress looked like. Especially when you’ve been shopping all day and looking at hundreds of dresses, they all blend together after a while. Lining up your girls in the same dress (like we talked about above!) and taking a photo will allow you to create a mini look book for you to look back on later. I promise it’ll save you trips back to the store and frustration for trying to remember each dress you looked at. So many great tips. Here’s one I learned: You absolutely 100% need a good seamstress and be on the look out for one way in advance! I almost couldn’t find someone to get my dress altered in time for my sister’s wedding. Yikes! Thankfully I found one who could turn it around in a few days. I got lucky. YES! This is so important. That is definitely a detail that many bridesmaids don’t think about. Great ideas for that stressful time! Having a system to get the important decisions made makes all the difference! Thank you, Lori! I definitely think planning a wedding is definitely only as stressful as you make it. There are ways to organize the chaos and make it so much better! Great tips! I’m in the process of narrowing them down! Thank you, Lisa! I’m so glad that you enjoyed the post. You go girl! 🙂 Best wishes for your special day! Great tips!! I’ll have to remember this because I am a bridesmaid for the first time next year. Thanks, Ayanna! How exciting! 🙂 You should check out bridesmaidsconfession.com for even more tips on being the best bridesmaid for your bride-to-be bestie. Those dresses are beautiful! And you have such great tips! Thanks, Jordyn! Those are actually my bridesmaids from my own wedding. Don’t they look darling! 🙂 P.S. They are from David’s Bridal! Thanks for the great tips Cathy! This is perfect timing as I need to figure out bridesmaid dresses in the next month. Two of my bridesmaids are states away, so I’m trying to figure out how best to inclulde them.